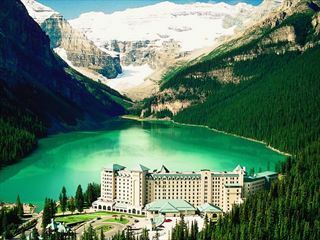 The Canadian Rockies are breath-takingly beautiful and a must-see if you’re visiting Canada. 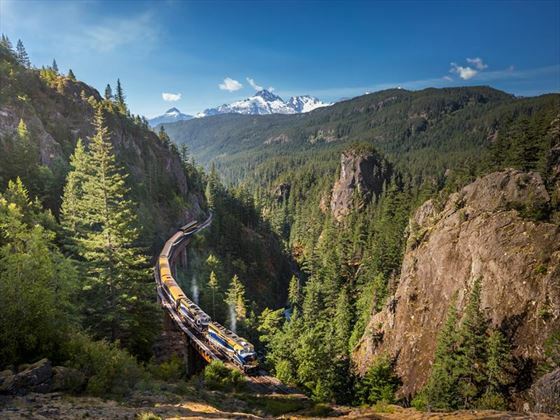 Rocky Mountaineer tours give you the opportunity to view this natural wonder from the comfort of a relaxing train journey. 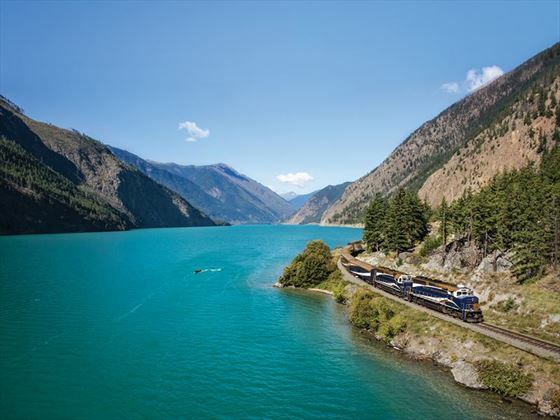 The Rocky Mountaineer is one of the world’s most iconic train journeys, taking you on an unforgettable trip through the otherworldly beauty of the Canadian Rockies. Marvel at the incredible scenery as you travel in complete comfort – the journeys come with large seats, plenty of legroom, tasty meals and an array of drinks. Canadian Sky is a luxury travel specialist and we can help you choose the perfect Rocky Mountaineer holiday for you. We can offer advice, tips and fantastic prices – choose us to book the train journey of a lifetime. 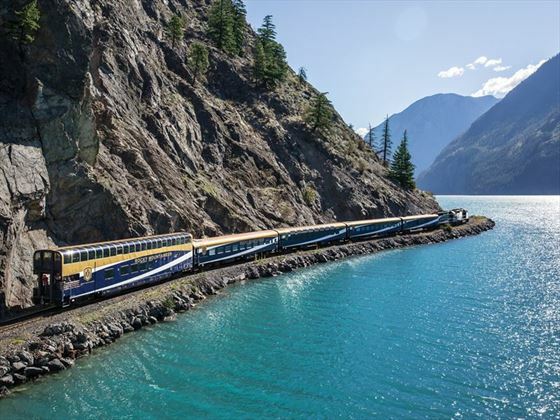 What will I see on the Rocky Mountaineer? 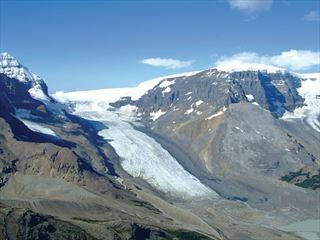 The Rocky Mountaineer travels through the heart of the Canadian Rockies offering some of the most spectacular scenery in the world. 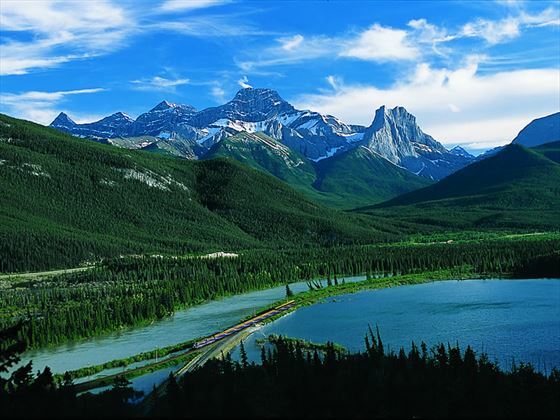 Passing through western Canada you’ll enjoy the beautiful vistas of British Columbia and Alberta. 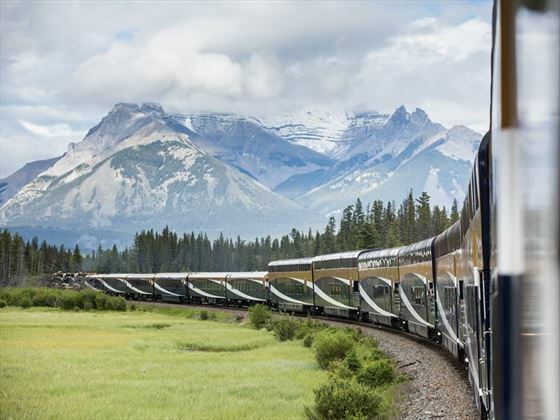 There are several different routes and holidays you can choose from, such as a two day Rocky Mountaineer journey from Banff to Vancouver with an overnight stop at a hotel in Kamloops en route on our Rockies Highlights tour. 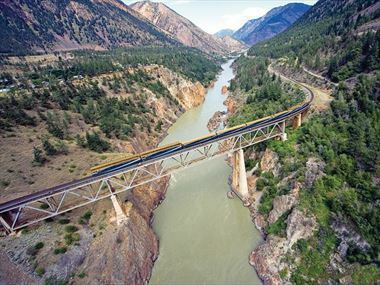 Or a trip on board Rocky Mountaineer from Jasper to Kamloops then from Kamloops to Vancouver as part of the holiday Rockies Explorer by Rail. 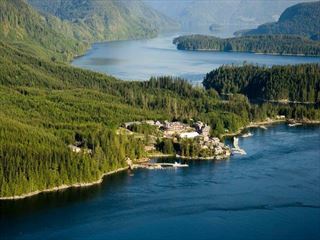 And don’t forget you could also add on an Alaskan cruise to complete this fabulous experience. 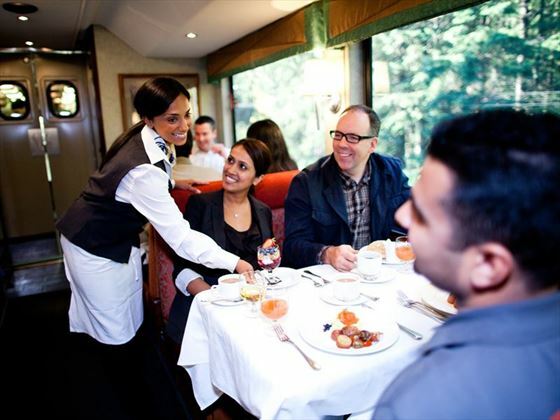 SilverLeaf Service offers a comfortable and stylish environment during your journey. With spacious reclining seats and large domed windows you can take in the stunning scenery in style. Delicious hot meals are served in your seat and you also have a range of complimentary drinks available including beers, wines, spirits and non-alcoholic options. You’ll stay the night in comfortable accommodation, leaving you well rested and ready for each day of unforgettable sightseeing. 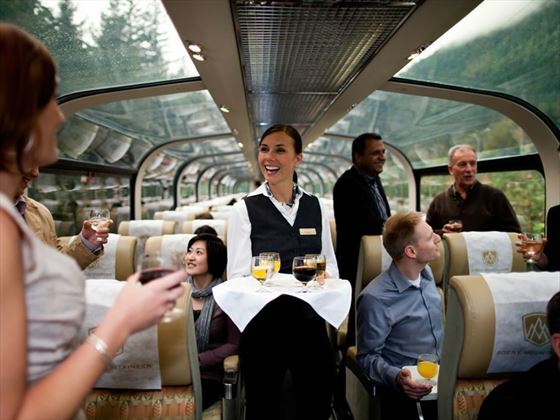 If you are looking to upgrade from SilverLeaf Service, GoldLeaf Service is the premium and luxury way to travel on the Rocky Mountaineer. You’ll travel in a two-level glass domed coach offering truly exceptional panoramic views of the scenery. The coach features an exclusive dining room where you will be served gourmet meals and a full complimentary list of alcoholic and non-alcoholic drinks. Your overnight accommodation will be charming and comfortable for a great night sleep. 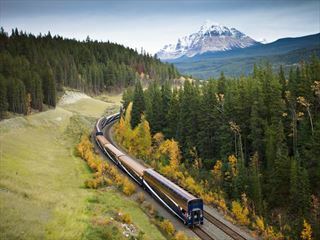 Further reading: Five reasons why you must experience a Rocky Mountaineer rail journey. 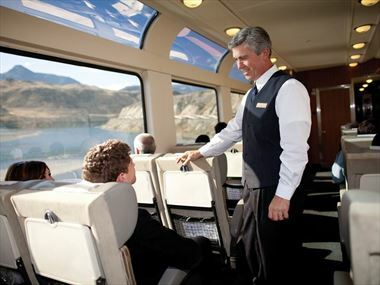 Our Rocky Mountaineer offer a wide variety of things to see and do during your trip. 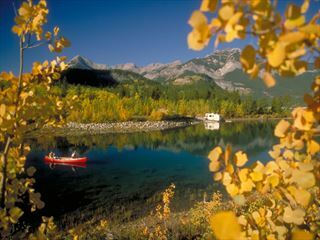 Check out our travel guides for plenty of travel inspiration and tips from our Canadian Sky experts to create the perfect holiday for you. Getting up close to Canada’s natural beauty, all the while enjoying pure luxury, comfort, gourmet food and a friendly atmosphere – that’s a day on board the Rocky Mountaineer. 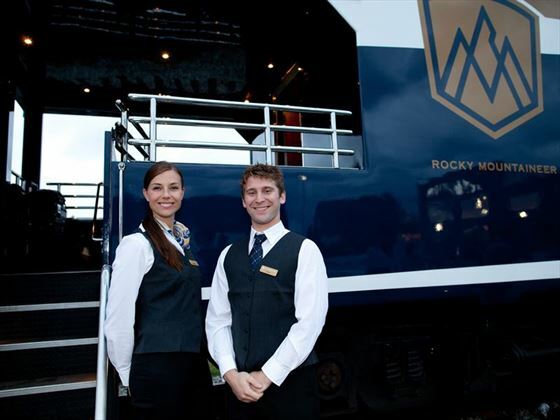 Discover what it's really like to work on one of the Rocky Mountaineer's most busiest train platforms as an assistant station manager. 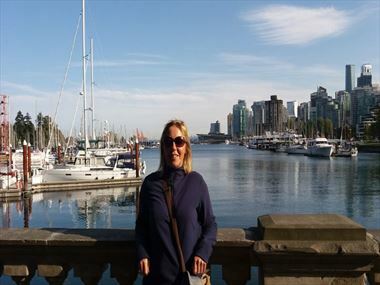 Our Marketing Manager Donna Owen just returned from a trip to Canada where she experienced the captivating Western Canadian Rockies by Rail that she called 'the bucket list Holiday of a Lifetime'. Here is what she had to share about her experience.